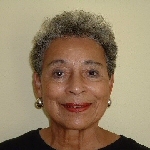 Mary T. Henry is a retired Seattle Public Schools librarian and author ofTribute: Seattle Public Places Named for Black People. She is the African American contributing editor to HistoryLink, the archivist for Epiphany Church and serves on the board of the Seattle Education Foundation. She has served on the board of the Association of King County Historical Organizations and the Seattle Landmarks Preservation Board. She was the editor of the Black Heritage Society Newsletter from 1993 to 2003.